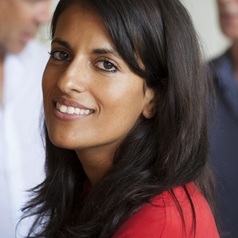 Dr Shanthi Robertson is a Senior Research Fellow at the Institute for Culture and Society at the University of Western Sydney. Shanthi was awarded her PhD in International Studies from RMIT University in 2009. Her research interests are broadly around the socio-political and cultural consequences of globalisation, with a specific focus on migration, diversity and urban transformation in the Asia-Pacific. She is currently working on a Australian Research Council DECRA project on temporary migrant mobilities between Asia and Australia, and an Australian Research Council Discovery Project on transnational youth mobility. Her work has been published in various migration and urban studies journals, including: The Journal of Ethnic and Racial Studies; Ethnicities; Urban Studies; Geoforum; Population, Space and Place; The International Journal of Urban and Regional Research; the Journal of Intercultural Studies; and the Journal of Ethnic and Migration Studies. Her first book, 'Transnational Student-Migrants and the State: The Education-Migration Nexus' was published by Palgrave Macmillan in April 2013. She is a member of The Australian Sociological Association (TASA).